What Exactly Is The Royal Family's Last Name? Do they have one? Do they even need one? IDK! If you had to identify Queen Elizabeth's last name, could you? Prince William's? Princess Charlotte's? You certainly wouldn't be the only one who couldn't. It turns out the reason the world never hears about the royal family's last name is because they kinda sorta don't have one. 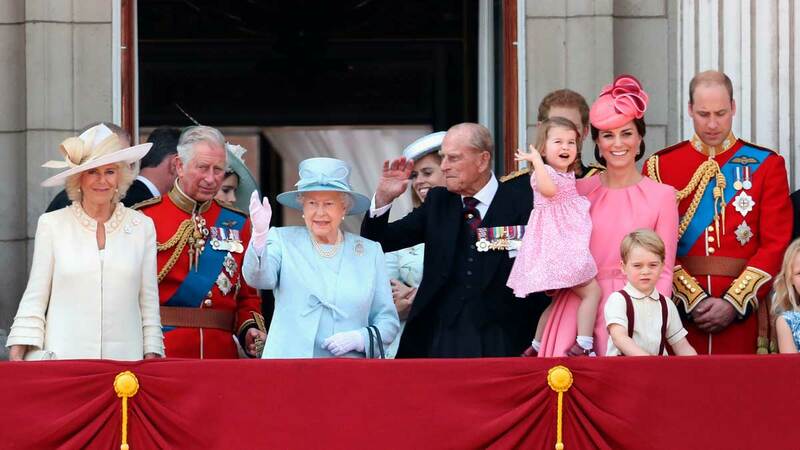 Below, everything you need to know about the royal surname (...or lack thereof). Again, it's unclear! According to the official royal site, "members of the Royal Family can be known both by the name of the Royal house, and by a surname, which are not always the same. And often they do not use a surname at all." In fact, until 1917, there were no last names at all. George V was the first to adopt a last name, declaring himself—and all male descendants of Queen Victoria henceforth—a "Windsor." OK, but that was 100 years ago. True. In fact, about 40-ish years after that, Queen Elizabeth and Prince Philip decided they wanted a different last name for their offspring than the rest of the family. From there, the Mountbatten-Windsor name was born. They also decided at that time that anyone with the title "His/Her Royal Highness" didn't need a last name at all. Wait. Where did 'Mountbatten' come from? That's Prince Philip's last name! As he's the Crown's royal consort (the spouse of a reigning monarch), her last name comes last. That means Meghan Markle's name, now that she's married, is Meghan Mountbatten-Windsor, correct? Maybe! Technically? Most people still just call her Meghan Markle, but by the Queen's 1960 declaration, that Meghan Mountbatten-Windsor is what makes the most sense. Still, Harry himself is an HRH, meaning he doesn't have to use a last name ever. 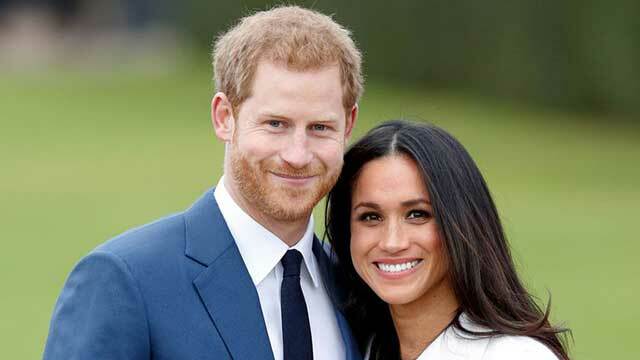 Before the wedding, royal historian Carolyn Harris told Town & Country: "Once married, Meghan will sign as Meghan, no last name. Just as Harry signs as Harry. Royals use only a first name." 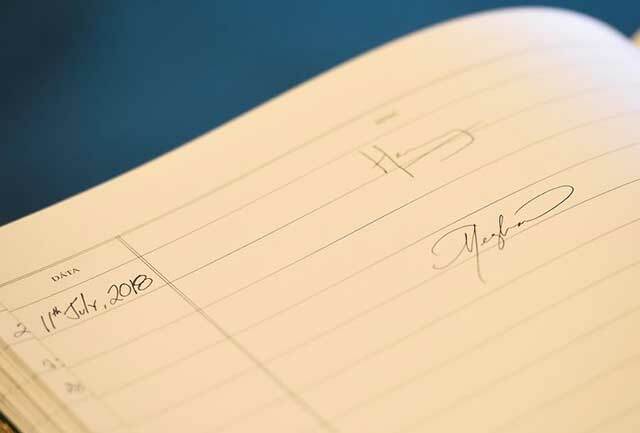 On a recent trip to Ireland, Meghan signed a guestbook simply as "Meghan," which would prove this theory correct. FYI, her signature is v pretty. I could've sworn I'd seen Harry or William use another last name. You did! Per INSIDER, it's not uncommon for royals to use "their family's territorial designation" as a last name instead. While they were in the military, they both served as William and Harry Wales (as their father, Prince Charles, is the Prince of Wales). So what about the youngest kids, what do they use as a last name? So far, they've been following in the footsteps of William and Harry. When Prince George started school, he went by George Cambridge, which makes sense because his parents are the Duke and Duchess of Cambridge. By that same pattern, Meghan and Harry's kids will go by whatever their first name is and then Sussex, as Harry and Meghan are the Duke and Duchess of Sussex.